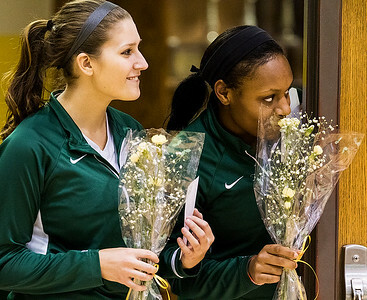 Kyle Grillot - kgrillot@shawmedia.com Crystal Lake South seniors Jaclyn Przybylski (left) and Kianna Clark peer through a door as they wait for their names to be called for senior night ceremony before the start of the girls FVC crossover game against Prairie Ridge Friday, Feb 13, 2015 in Crystal Lake. Crystal Lake South won, 51-43. 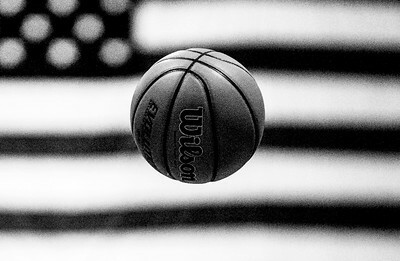 Kyle Grillot - kgrillot@shawmedia.com The basketball rises into the air as Prairie Ridge and Crystal Lake South players jump for the ball at the start of the first quarter of the girls FVC crossover game Friday, Feb 13, 2015 in Crystal Lake. Crystal Lake South won, 51-43. 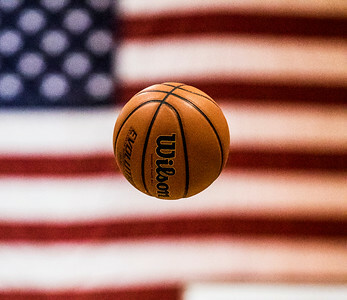 Kyle Grillot - kgrillot@shawmedia.com Crystal Lake South's Kianna Clark reacts after making a foul shot during overtime of the girls FVC crossover game against Prairie Ridge Friday, Feb. 13, 2015 in Crystal Lake. Crystal Lake South won, 51-43. 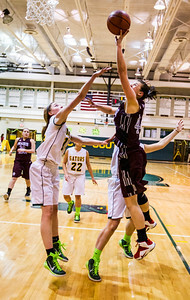 Kyle Grillot - kgrillot@shawmedia.com Crystal Lake South's Chanel Fanter (right) puts up a shot defended by Prairie Ridge's Melissa Bear during the second quarter of the girls FVC crossover game Friday, Feb. 13, 2015 in Crystal Lake. Crystal Lake South won, 51-43. 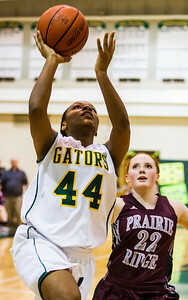 Kyle Grillot - kgrillot@shawmedia.com Crystal Lake South's Kianna Clark puts up a shot defender by Prairie Ridge's Alyssa Clark during the fourth quarter of the girls FVC crossover game Friday, Feb. 13, 2015 in Crystal Lake. Crystal Lake South won, 51-43. 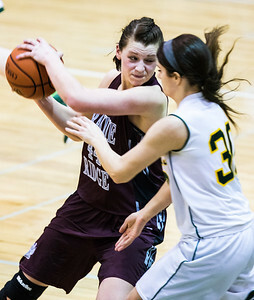 Kyle Grillot - kgrillot@shawmedia.com Prairie Ridge's Kirsten Veol-Pel (left) fights to control the ball under pressure from Crystal Lake South's Hailee Massie during the third quarter of the girls FVC crossover game Friday, Feb. 13, 2015 in Crystal Lake. Crystal Lake South won, 51-43. 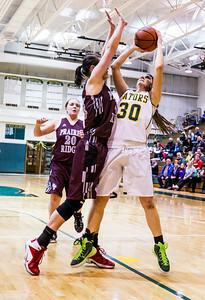 Kyle Grillot - kgrillot@shawmedia.com Crystal Lake South's Chanel Fanter puts up a shot defended by Prairie Ridge's Vanessa Morris during the second quarter of the girls FVC crossover game Friday, Feb. 13, 2015 in Crystal Lake. Crystal Lake South won, 51-43. 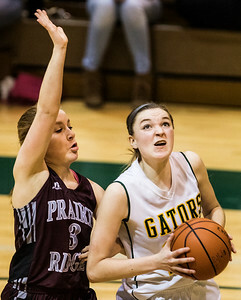 Kyle Grillot - kgrillot@shawmedia.com Crystal Lake South's Annika Sevcik (left) puts up a shot defended by Prairie Ridge's Mikaela McNally during the fourth quarter of the girls FVC crossover game Friday, Feb. 13, 2015 in Crystal Lake. Crystal Lake South won, 51-43. 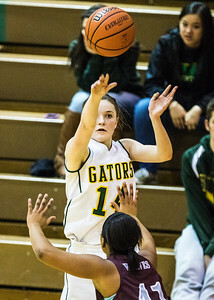 Kyle Grillot - kgrillot@shawmedia.com Prairie Ridge's Kirsten Veol-Pel (left) puts up a shot under pressure from Crystal Lake South's Chanel Fanter during the second quarter of the girls FVC crossover game Friday, Feb. 13, 2015 in Crystal Lake. Crystal Lake South won, 51-43. 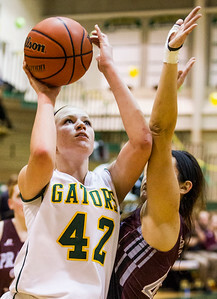 Kyle Grillot - kgrillot@shawmedia.com Prairie Ridge's Kirsten Veol-Pel (right) puts up a shot under pressure from Crystal Lake South's Chanel Fanter during the second quarter of the girls FVC crossover game Friday, Feb. 13, 2015 in Crystal Lake. Crystal Lake South won, 51-43. 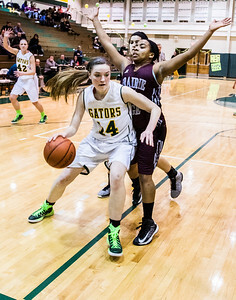 Kyle Grillot - kgrillot@shawmedia.com Prairie Ridge's Kelly Klendworth (left) looks for an open player to pass to defended by Crystal Lake South's Hailee Masie during the first quarter of the girls FVC crossover game Friday, Feb. 13, 2015 in Crystal Lake. Crystal Lake South won, 51-43. 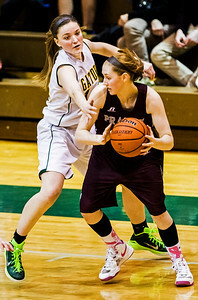 Kyle Grillot - kgrillot@shawmedia.com Crystal Lake South's Chanel Fanter (left) defends Prairie Ridge's Kelly Klendworth during the third quarter of the girls FVC crossover game Friday, Feb. 13, 2015 in Crystal Lake. Crystal Lake South won, 51-43. 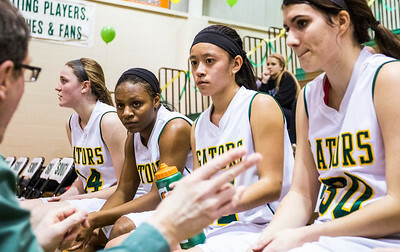 Kyle Grillot - kgrillot@shawmedia.com Crystal Lake South's Chanel Fanter (left), Kianna Clark, Gabrielle DeJesus, and Hailee Massie listen as coach Joe Komaromy talks with them during a time out in the fourth quarter of the girls FVC crossover game against Prairie Ridge Friday, Feb. 13, 2015 in Crystal Lake. Crystal Lake South won, 51-43. 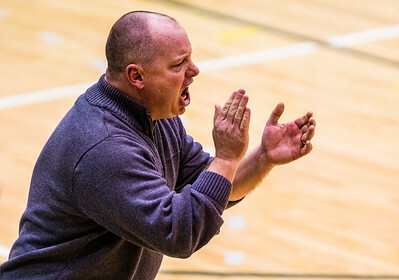 Kyle Grillot - kgrillot@shawmedia.com Prairie Ridge's head coach Rob Baker cheers on his team after they make a three-point shot during the third quarter of the girls FVC crossover game Friday, Feb. 13, 2015 in Crystal Lake. Crystal Lake South won, 51-43. Kyle Grillot - kgrillot@shawmedia.com Crystal Lake South's Chanel Fanter (left) dribbles towards the net defended by Prairie Ridge's Vanessa Morris during the fourth quarter of the girls FVC crossover game Friday, Feb. 13, 2015 in Crystal Lake. Crystal Lake South won, 51-43. 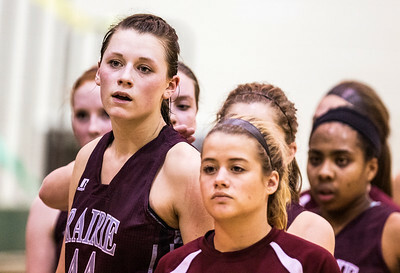 Kyle Grillot - kgrillot@shawmedia.com The Prairie Ridge team including Kirsten Veol-Pel (left) reacts after losing to Crystal Lake South in overtime of the girls FVC crossover game against Prairie Ridge Friday, Feb. 13, 2015 in Crystal Lake. Crystal Lake South won, 51-43. 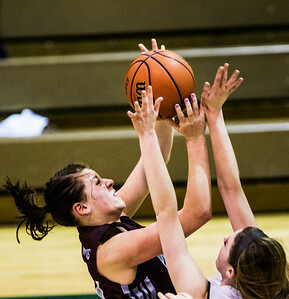 Kyle Grillot - kgrillot@shawmedia.com Crystal Lake South's Hailee Massie puts up a shot guarded by Prairie Ridge's Kirsten Veol-Pel during the fourth quarter of the girls FVC crossover game against Prairie Ridge Friday, Feb. 13, 2015 in Crystal Lake. Crystal Lake South won, 51-43. 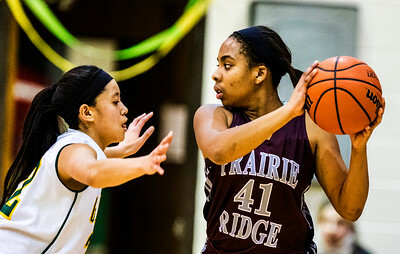 Kyle Grillot - kgrillot@shawmedia.com Crystal Lake South's Gabrielle DeJesus guards Prairie Ridge's Vanessa Morris during the fourth quarter of the girls FVC crossover game against Prairie Ridge Friday, Feb. 13, 2015 in Crystal Lake. Crystal Lake South won, 51-43. 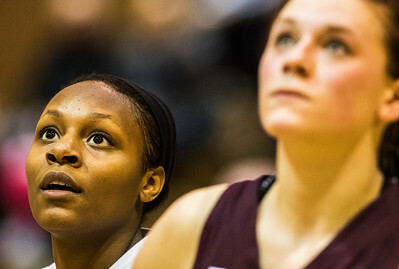 Kyle Grillot - kgrillot@shawmedia.com Crystal Lake South's Kianna Clark and Prairie Ridge's Kirsten Veol-Pel watch as a foul shot is made by Crystal Lake South's Taylor Jozefowicz during overtime of the girls FVC crossover game against Prairie Ridge Friday, Feb. 13, 2015 in Crystal Lake. Crystal Lake South won, 51-43. 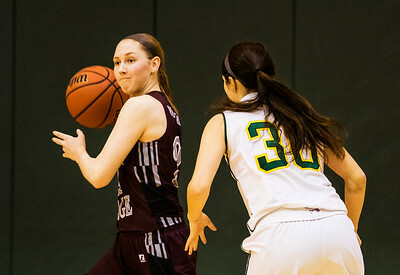 Prairie Ridge's Kirsten Veol-Pel (left) fights to control the ball under pressure from Crystal Lake South's Hailee Massie during the third quarter of the girls FVC crossover game Friday, Feb. 13, 2015 in Crystal Lake. 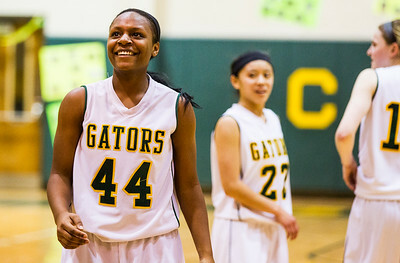 Crystal Lake South won, 51-43.